The GUKPT is back with a bang! There has been a massive turnout today for Day 1a with 175 entries over the six levels of late registration, that’s one of the biggest 1a fields EVER! We will be back tomorrow for Day 1b, starting at 12pm with late registration open until 7:30pm. Join us then when we will be covering another 10 levels of poker. Play has now finished on all tables as the players bag and tag their chips. Full chip counts of the remaining players will be up with you as soon as possible. The players will now play three hands before bagging and tagging. 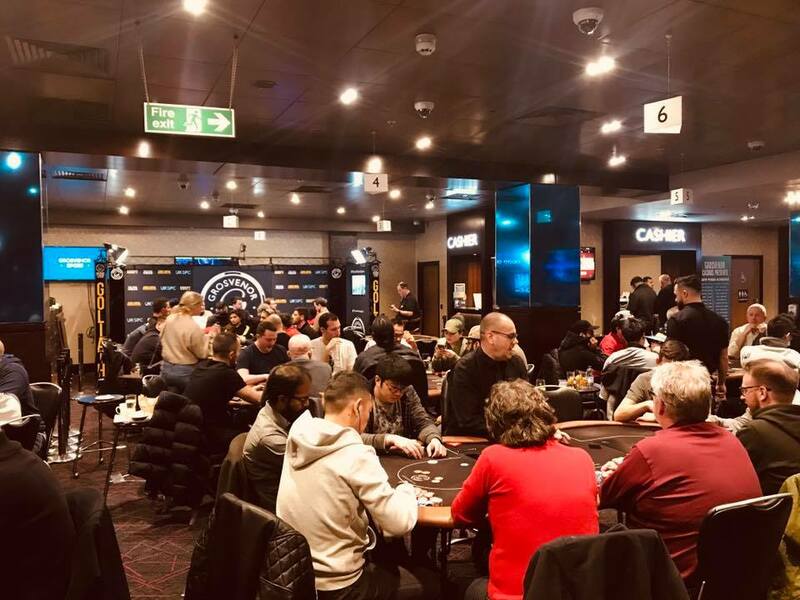 Not much happening on the tables as we have just 30 minutes remaining before we bag and tag for the night. .
There’s currently 56 players remaining. The blinds increase for the last time today. They are now 500/1000 with a 100 ante. Tony Hardy gets his last 18k all in pre flop holding against , the other player hits a queen on the board and takes the pot. We lose Tony here during level number 9 of the day, but he can come back tomorrow for a re-entry if he wants to. The players are back seated as we begin level number 9. The blinds are 400/800 with a 100 ante. The players will now take a break before beginning the last session of the day. Just two levels to go. The blinds increase as we begin level number eight. They are now 300/600 with a 50 ante. 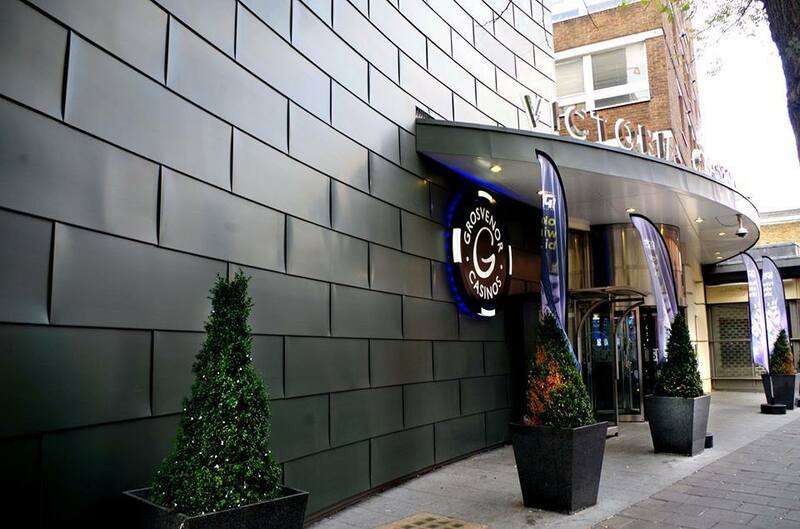 Registration has now closed here on Day 1a of GUKPT London. There has been a huge turnout of 175 entries, which is way up on the 132 that turned out last year. The tournament could well be on the way to a £450k prizepool! 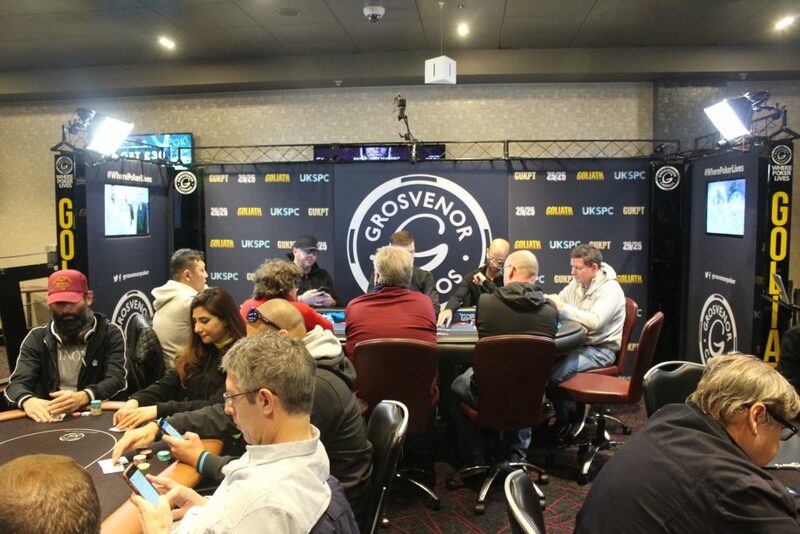 The players are back seated as we begin level number 7. The blinds are now 250/500 with a 50 ante. 177 entries so far today but that will be confirmed shortly. Break time now for the players as we take 15 minutes, registration will close after this break. We get to the table as 2018 Goliath Winner Florian Duta is all in holding against the of Joe Hindry. Florian is all in for around 7,000. 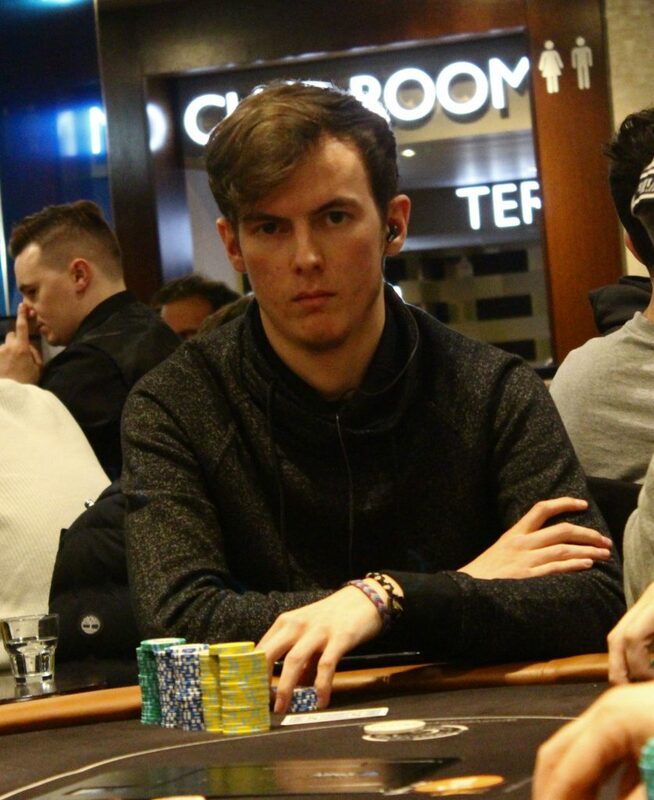 Joe rivers a set to take the pot, he now has around 40,000. We lose Florian here during level number six, but he can re-enter if he wishes. The omaha side event has just started with 30 entries. The players are back seated as we begin level number 5. The blinds are now 150/300 with a 25 ante. 151 entries so far today. The players are now on a 45 minute dinner break. 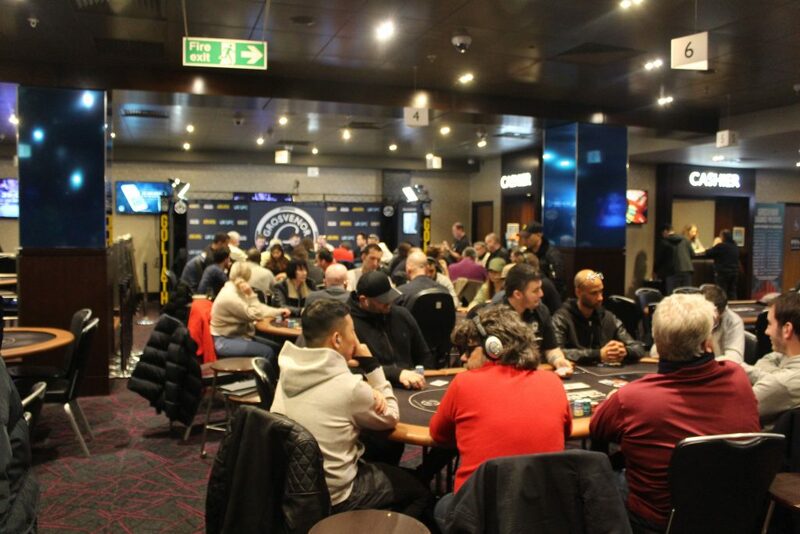 These players have the opportunity to buy in again if they wish to as late registration is open for the first six levels. The blinds increase as we begin level number 4. They are now 100/200 with a 25 ante. 129 entries so far today. The players are back seated as we begin level number three of the day. The blinds are now 75/150. 107 entries so far today. No action to speak of in the first session of play as the players now take a 15 minute break. 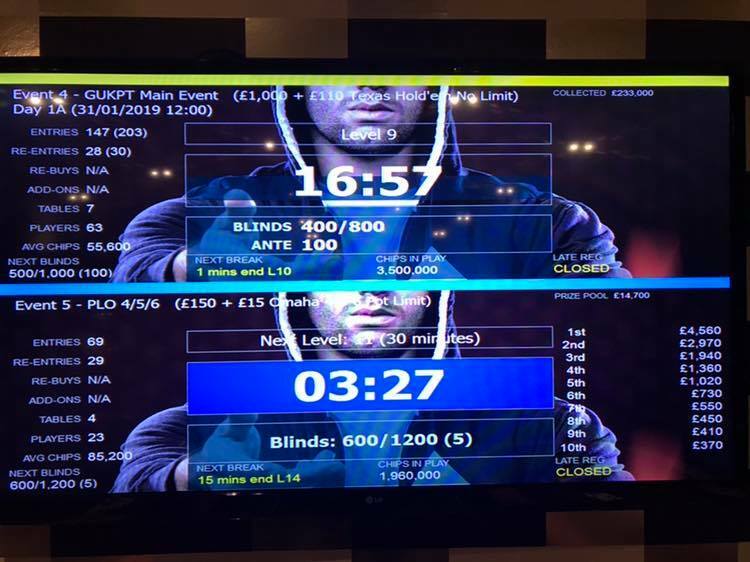 Don’t forget you can watch the GUKPT live stream which runs on a thirty minute delay with all hole cards shown. The blinds are now 50/100. 90 entries so far today. 15th – £1,000 – L W.
The cards are in the air as we begin level number one of the day. 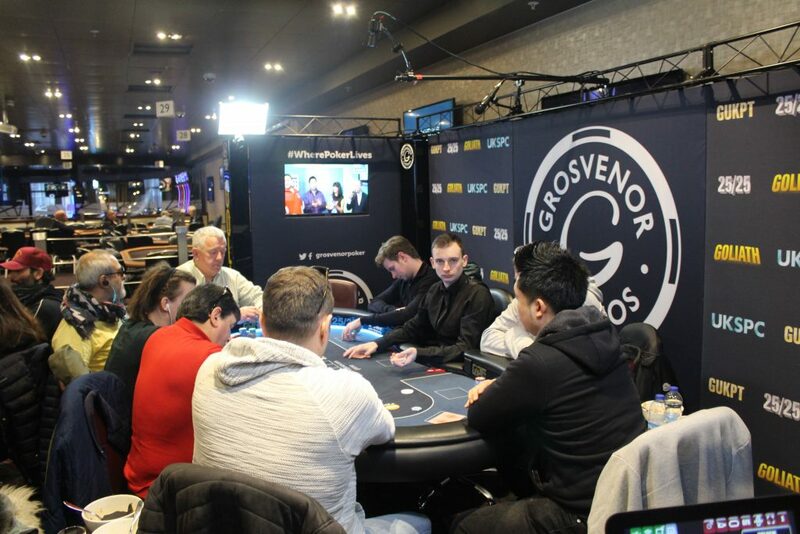 The tournament is a £1000+£110 buy in with a £200,000 Guarantee. The players start with 20,000 chips on a one hour clock. Late registration is open until 7:30pm. Good morning and welcome to season number 13 of the GUKPT! After 12 successful seasons we are back again. 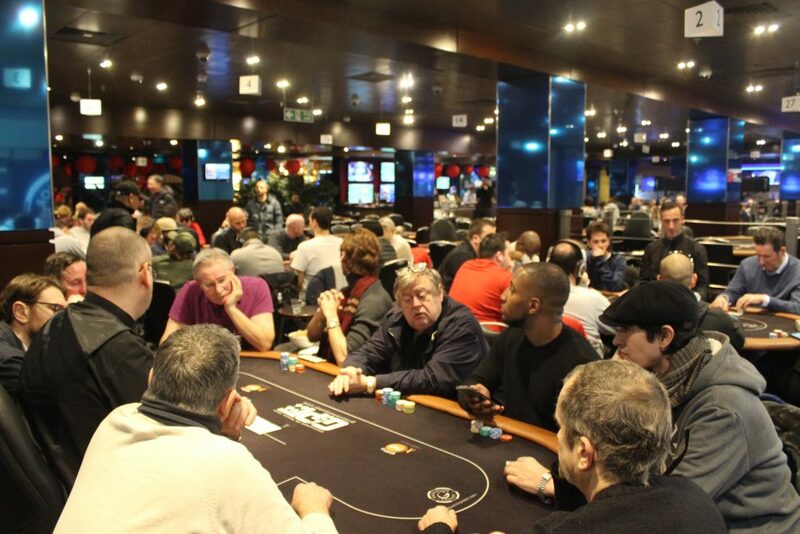 Leg 1 begins at The Poker Room in London where it is always busy!! 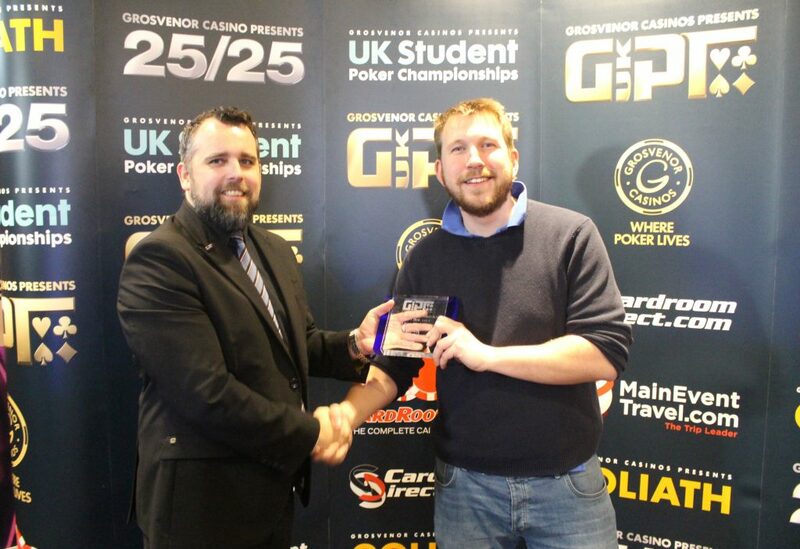 Last year Andrew Hulme took down the title here, besting a 433 field to take home £112,400!! We’re expecting a similar field size this weekend. The team will be here with you for the full four days of play bringing you table updates, chip counts, pictures, exits and of course the live stream which runs on a 30 minute delay with all hole cards shown. Play begins at 12pm today with late registration open for the first six levels.